Opening times Tue–Thu 11am–5pm; Sat & Sun noo–5pm; closed Mon & Fri.
Travel the world in just a few hours through an amazing collection of artefacts in a stunning Victorian Gothic mansion. See if you can walk like an Egyptian in the recreated Egyptian tomb complete with genuine mummy coverings and an ancient Egyptian coffin. Step into the local history galleries to find out about the shoddy industry, listen to the stars who appeared at the Batley Variety Club, from Shirley Bassey to Ken Dodd, see artefacts from typical homes and uncover the curious case of the ‘cursed’ tram. Hear stories of the local South East Asian community, see stunning wedding attire and take a moment to rest in a traditional South East Asian bedroom. 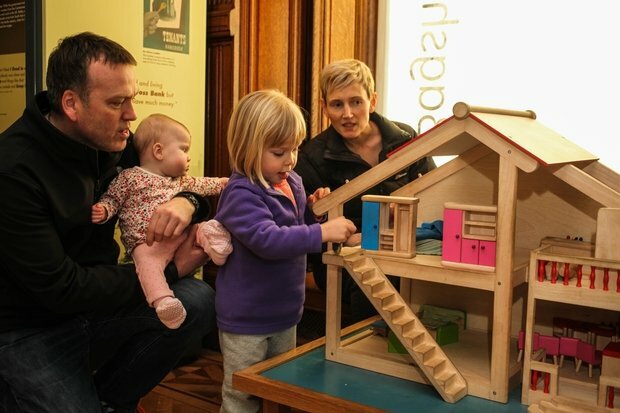 Imagine the all the fun of the seaside in the Victorian Seaside Gallery and put on your own Punch and Judy show. Make some noise in the Africa Gallery as you explore African culture and geography. Throughout the house admire the Victorian opulence with stunning ceilings and back drops in every room and let off some steam as you explore the 36 acres of park, lake and woodland.